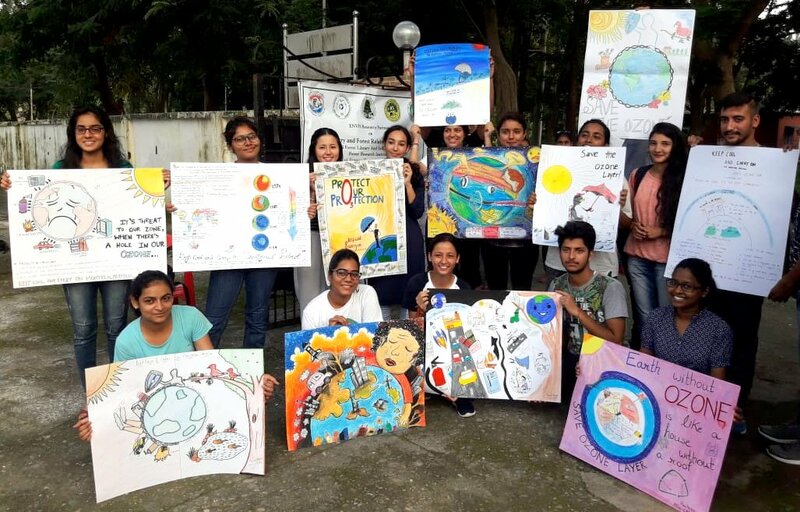 Forest Research Institute (FRI), Dehradun celebrated the World Ozone Day today by organizing various events with the involvement of Forest Research Institute Deemed University students and ENVIS Resource partner. 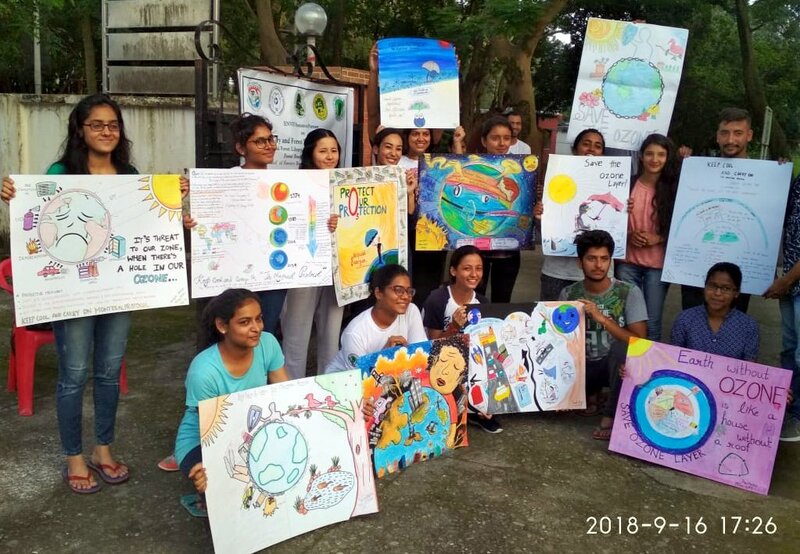 A poster competition was organized by ENVIS RP FRI on 16th of September. 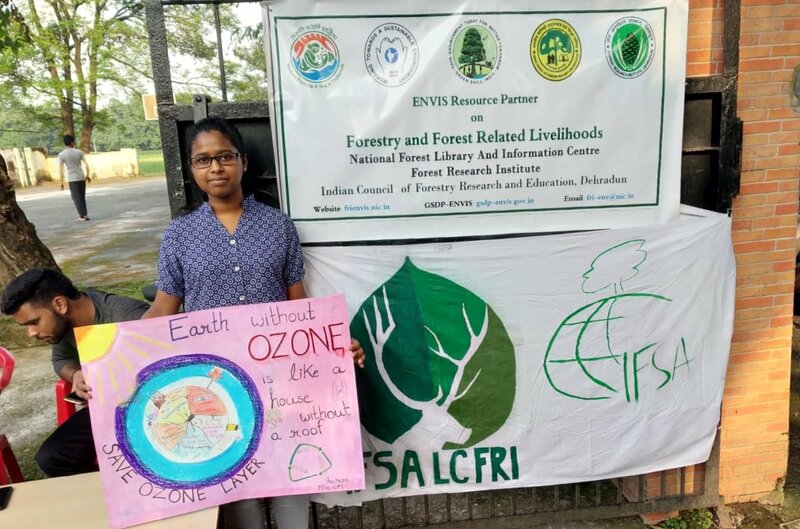 On 18th of September the Program started with the brief introduction on World Ozone Day by Dr. Savita, IFS, Director FRI Dehradun. She referred UNEP-WMO report that the Ozone layer is on the path of recovery. However she expressed concern on the future of ozone which is likely to be again going in a depilating mode by the end of 21st century if climate change (led by CO2, CH4, N2O growth) goes unabated. 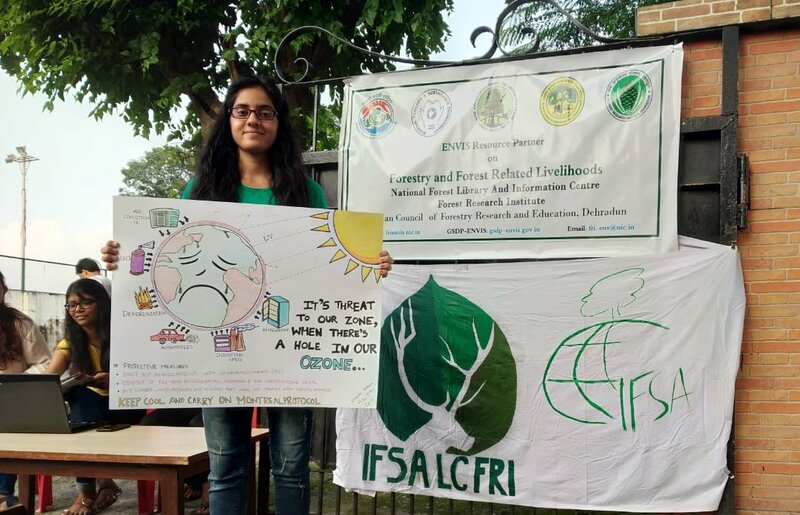 She stated that Scientists working over Ozone have flagged the issues and concerns successfully but now it is the turn of climate change scientists to put a full stop on the growth of greenhouse gases in due course. 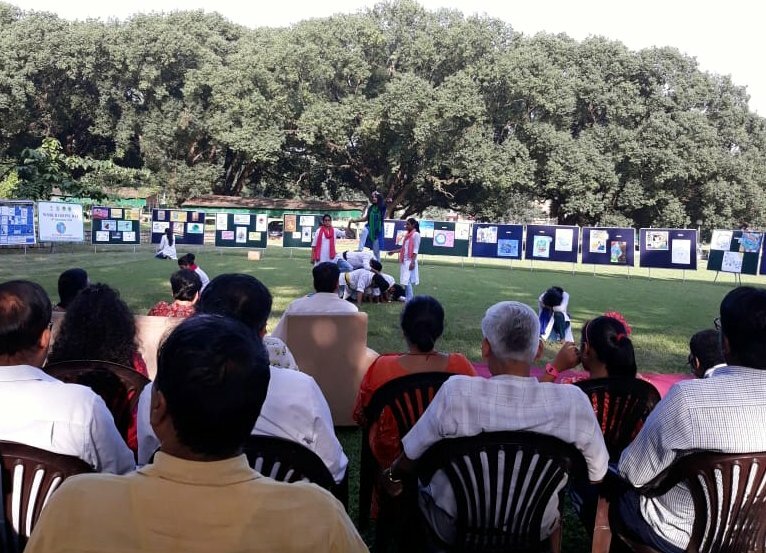 Students of Forest Research Institute Deemed University played a "nukkad natak" on impact of levis life styles and enhanced use of modern gadgets on depletion of Ozone Layer and how to change our life style to protect the same.